Further innovation to the America’s Cup was promised for the 2010 event, but affairs in the court room had as big a say as to the destination of the trophy as any of the racing. The 33rd America’s Cup started life in 2007, immediately after the Alinghi victory in the 32nd Cup, with 19 teams from 12 different countries and an AC90, the new design for an event in 2009 in Valencia that would capitalize on the success of the previous edition. However, it was not to be. The proposals made by the Defender were contested by the American representatives of Golden Gate Yacht Club and BMW Oracle Racing and the New York judicial system ended up imposing a Deed of Gift match: one Challenger versus the Defender at a time nominated by the American team and in a place chosen by the Swiss. In the end, the New York Supreme Court also decided the location. The only design parameter for a Deed of Gift match is a 90ft load waterline length and so Alinghi, extremely limited on time, settled upon Alinghi 5, one of the most revolutionary catamarans of all time. 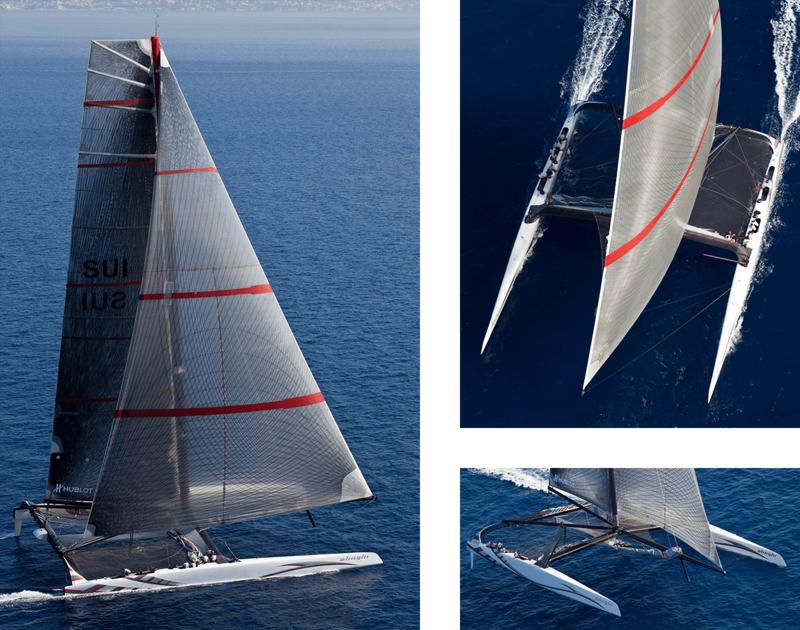 In the end, however, Alinghi’s 90ft catamaran was defeated by the Americans’ 100ft trimaran with its radical wing.